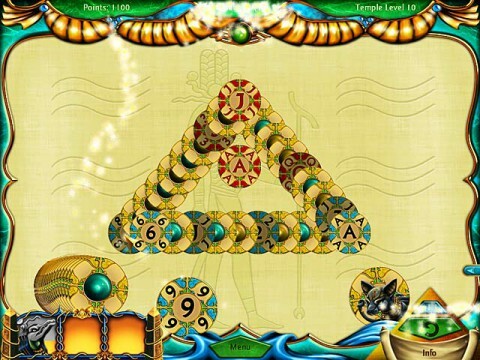 Prove yourself worthy of the favors of your Pharaoh and create a prosperous new town in the mysterious land of Egypt! A thriving metropolis at the Nile was destroyed by a sandstorm, and now it’s your task to create a new metropolis, more beautiful and thriving than ever before! You are the supreme architect in Ancient Egypt and can start your work immediately with an adviser of the pharaoh standing by your side. Discover exciting and entertaining levels in Campaign Mode, and use your combo-counter to rack up points and important extras that will aid you on your quest to construct magnificent structures so beautiful that even the gods will offer assistance as you prove your progress and skill! 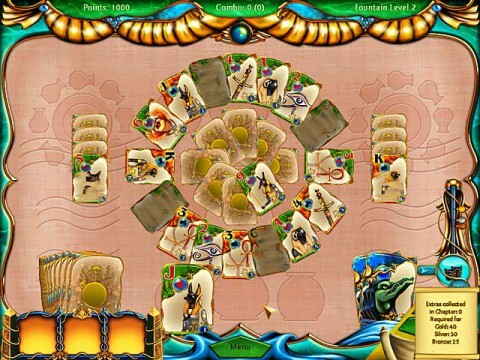 Or for more relaxed game play, Free Play Mode offers a more laid back game with familiar variants of solitaire. 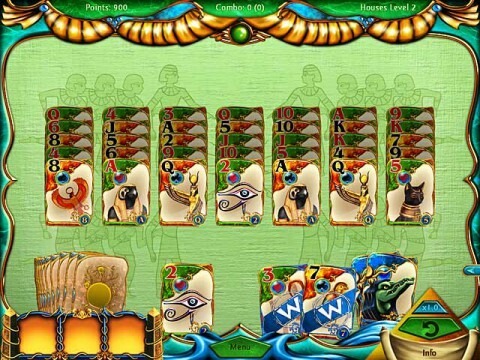 With so many customizable options, Solitaire Egypt is a game that every player will love!